If you drive north from NIST's Gaithersburg, MD, campus, you will soon reach the famed Mason-Dixon Line marking the border between the states of Maryland and Pennsylvania. Continue for just a few more kilometers, and you'll cross over a second historic line: the Inch Line (sometimes called the Inch Lines, for reasons explained below). Contrary to its diminutive name, this line stretches more than 2,000 km (1,200 miles) from Texas to New Jersey. Constructed during World War II, it inspired a quip that illustrates its importance: "The war was won by an Inch." The genesis of this line can be traced back to one man and his first job at the National Bureau of Standards (NBS, now called the National Institute of Standards and Technology, or NIST). 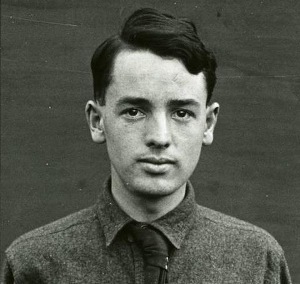 William Gillum Heltzel (1895-1959) graduated from the Carnegie Institute of Technology in 1918 and landed his first post-college job that same year in the Electrical Measuring Instruments section at NIST. About a year later, Heltzel headed West to join the oil industry as a pipeline engineer. To his surprise, Heltzel discovered that the accurate measurements he'd become accustomed to at NIST did not yet exist in pipeline work. Pipeline designs of the time were based on imprecise rules of thumb, and Heltzel set about to change that. After a few years of study and experiment, he published a series of articles, beginning in 1926 with "Fluid Flow and Friction in Pipelines" in the Oil & Gas Journal, which introduced a more rational, science-based methodology to designing pipelines. Heltzel developed some of the earliest usable flow formulas, which are now considered basic to pipeline design. His research enabled the efficient pumping of petroleum through larger-diameter and much longer pipelines than previously possible. But Heltzel's work didn't have an immediate impact, because there was no economic justification for such large pipelines. No justification, that is, until the advent of World War II. 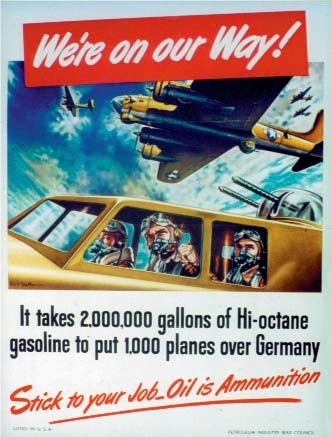 Required to lubricate and fuel planes, tanks, and other combat machinery, oil was a key strategic commodity. Because of its tremendous importance, both the Axis and Allies naturally tried to maintain and expand their supplies while cutting off those of their enemy. In that regard, the U.S. had an advantage. At the time, the U.S. produced 60 percent of the world's crude oil, while our primary foe, Nazi Germany, had limited domestic oil production. U.S. oil supplies, however, were far from the battlefield and had to be shipped over thousands of kilometers of ocean to Europe. Even within the U.S., 95 percent of petroleum products were transported by ocean-going tankers, which carried the precious stuff from the Texas Gulf Coast to refiners and distributors in the industrialized Northeastern states. With Nazi submarines now roaming the Atlantic, the U.S. government realized that the sea shipping routes were vulnerable. Alternatives were needed. "Building of a crude [oil] pipeline from Texas to the East might not be economically sound," Secretary of the Interior Harold Ickes wrote to President Roosevelt in July 1940, "but in the event of an emergency it might be absolutely necessary." That emergency arrived quickly. 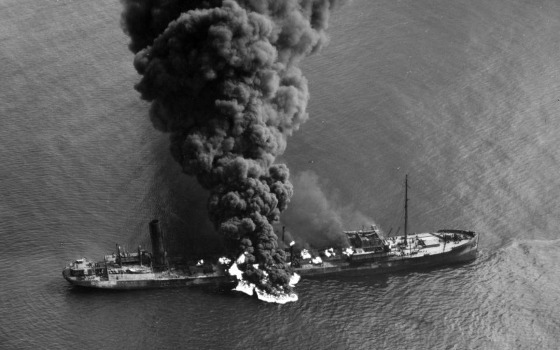 The U.S. entered the war in December 1941, and in the month of February 1942 alone, Nazi submarines sunk 12 U.S. oil tankers along the East Coast. To protect the remaining tanker fleet, the government restricted the ships to the trans-Atlantic route, which stretched from the U.S. Northeast to Europe. While still dangerous, this route limited the tankers' time at sea and allowed them to cross the Atlantic in an easier-to-defend convoy. To make up for the lost tankers, oil from Texas was sent to the Northeast via trains and river barges. But those means of transport could not replace the large volume of petroleum that had been shipped by sea. By one estimate, East Coast refiners had been receiving 300,000 barrels of oil daily by ship. Trains and barges were only able to deliver a combined 140,000 barrels per day, less than half the previous supply. In the battle over oil, the Nazis had struck a decisive blow. 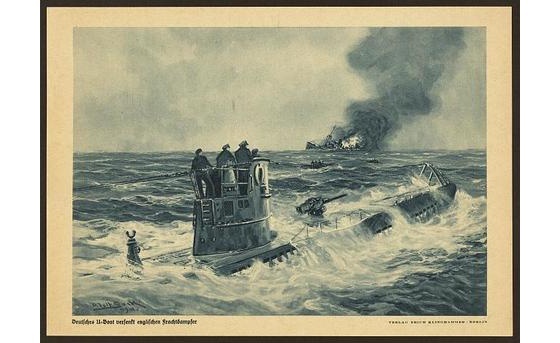 According to historian Michael Gannon in his book "Operation Drumbeat: The Dramatic True Story of Germany's First U-Boat Attacks Along the American Coast in World War II," "The U-boat assault on merchant shipping in United States waters during 1942 constituted a greater strategic setback for the Allied war effort than the defeat at Pearl Harbor." To maintain the flow of oil, the government funded the construction of the longest and largest pipeline ever built up to that time. Officially named the War Emergency Pipeline, it passed through 10 states and connected Baytown, Texas, on the Gulf of Mexico, with Linden, NJ. The War Emergency Pipeline was actually two pipelines running parallel along the same route: A 24-in. (60-cm) diameter pipe carried crude oil while a smaller 20-in. (50-cm) line carried refined petroleum products. By the standards of the time, these pipes were giants. 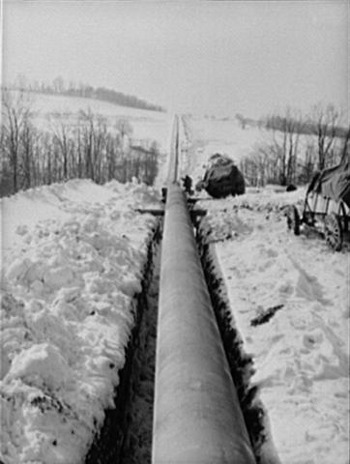 Typical pipelines of the period had diameters of no more than 8 in. (20 cm). In industry parlance, pipes with a diameter of more than a foot (30 cm) were called "big inch" pipes. Workers building the 24-in.-diameter War Emergency Pipeline named it "the Big Inch." The 20-in. line was amusingly dubbed "the Little Big Inch." Completed exactly one year after construction began in June 1942, the two pipelines are collectively called the "Inch Lines." The pipelines delivered more than 500,000 barrels of oil per day for the war effort, and all of it on a land route safe from Nazi submarines. "Without the prodigious delivery of oil from the U.S.," stated historian Keith Miller, "this global war [WWII], quite frankly, could never have been won." The war was truly won by an Inch. The construction of a pipeline of sufficient size and length to support the demands of the war effort relied on the earlier metrology work of William Heltzel. In fact, both Heltzel and NIST served as consultants on various aspects of the project. Upon Heltzel's death in 1959, a petroleum industry trade publication noted, "No other development in the catalog of pipeline achievements has contributed so much to the industry as [Heltzel's] concept of rational pipeline design." The Inch Lines continued to pump oil after the war and are still in use today. In 1998, the Inch Lines were added to the National Register of Historic Places both for their role in the war effort and as an outstanding engineering achievement. Keith Martin is a librarian at the NIST Research Library. He often comes across interesting stories from NIST's past. Read more NIST blogs at www.nist.gov/blogs.